Whether your potential customers are listening to your telephone greeting, watching your YouTube product presentation or catching your new Radio spot, it could be their first contact with your company - So it's important that your brand is well represented. That's where Amazing Voice comes in. We'll find the perfect voice to compliment your brand and leave your customers dazzled and engaged! We have a large roster of professional voice artists, in a wide range of styles and languages, so you will always find the perfect voice to spotlight your brand and make it stand out from the crowd. Contact one of our representatives and let us help give your brand that professional polish! Contact us for more info. 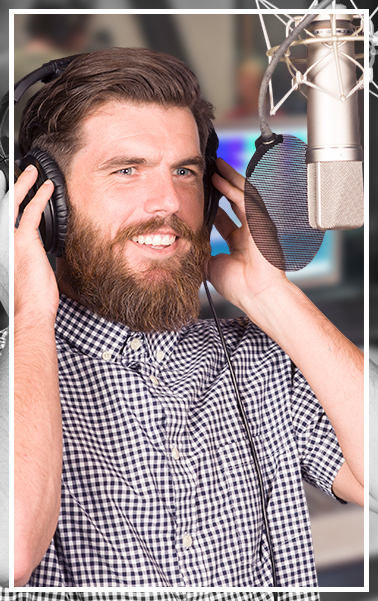 Boost your brand with an Amazing Voice!